BairesDev ensures the highest quality for every Netgear website and core platform. 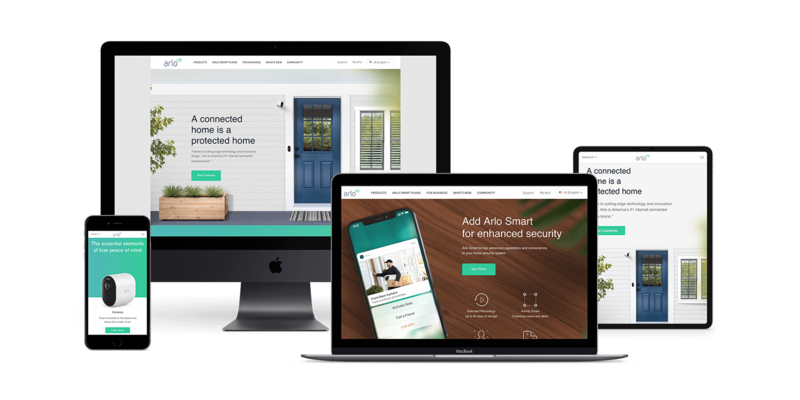 BairesDev created the high visual impact Arlo website, which displays, describes and commercializes a new series of Arlo remote security cameras. Our UI/UX experts developed a unique e-commerce experience, and our team of engineers was involved in the entire project lifecycle, going from design to the final implementation.